Our approach to attorney direct marketing lists is to keep it simple, let the lawyers do their own thing, and make it all available from a web browser. 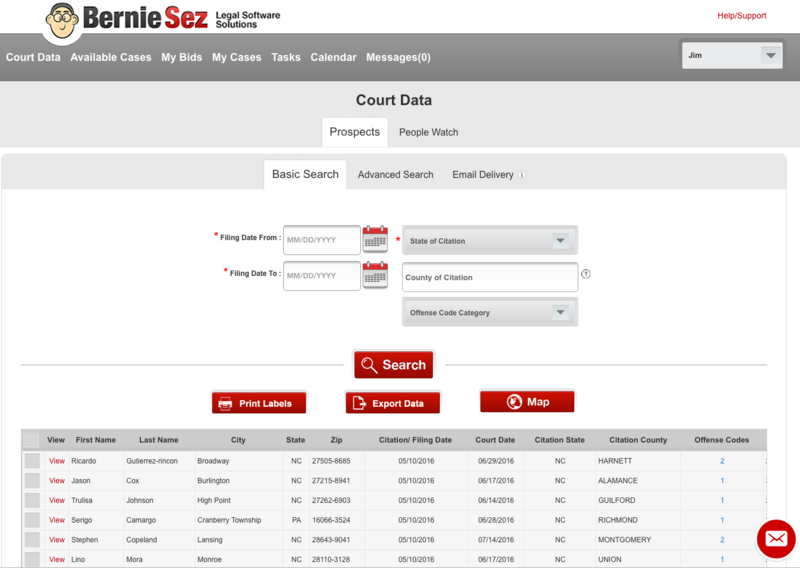 Simple and intuitive controls to search for cases that interest you. Need more complex search? No problem. 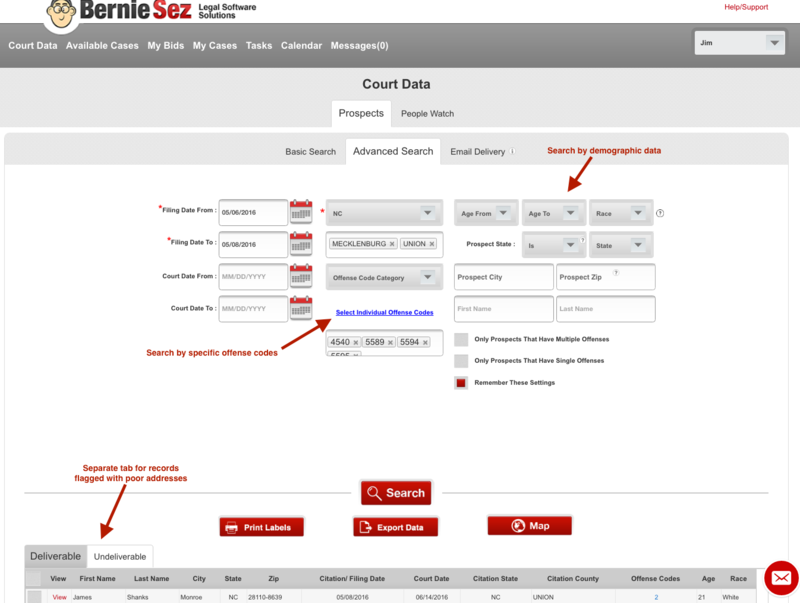 Use our advanced search screen to query the court system data by a multitude of search criteria, but in a way that is still easy to use. 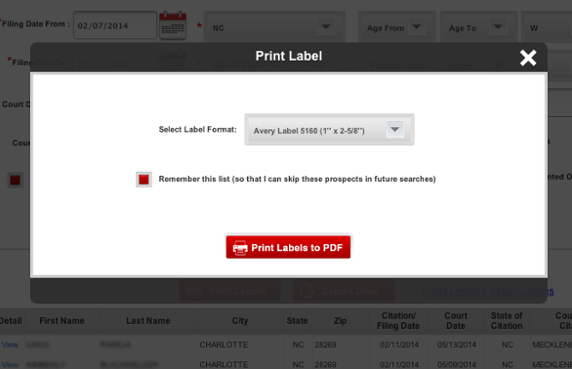 Want to print Avery labels? Click a button. 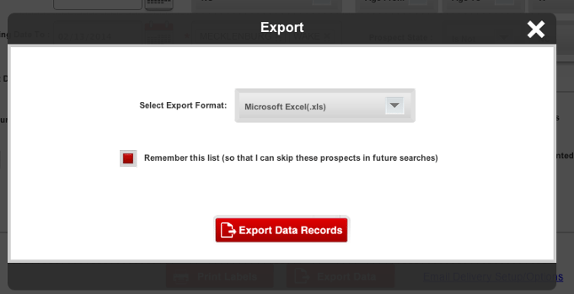 Want to export to Excel® or a TXT file? Click the other button. Want to receive labels and Excel® data files every day? No problem. 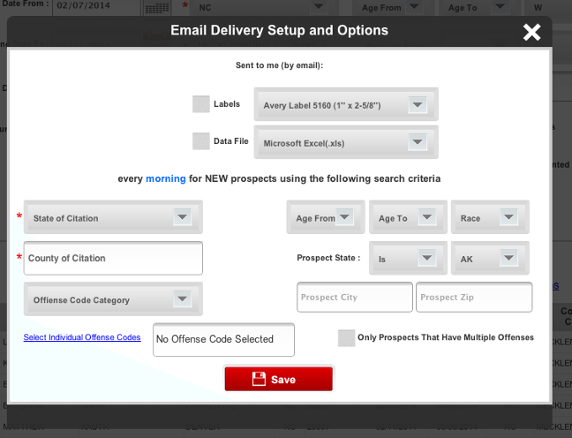 Set up your search criteria once, and get your label and data files sent to your email inbox automatically every morning. Want to change some search criteria? No need to call anyone…just do it yourself. 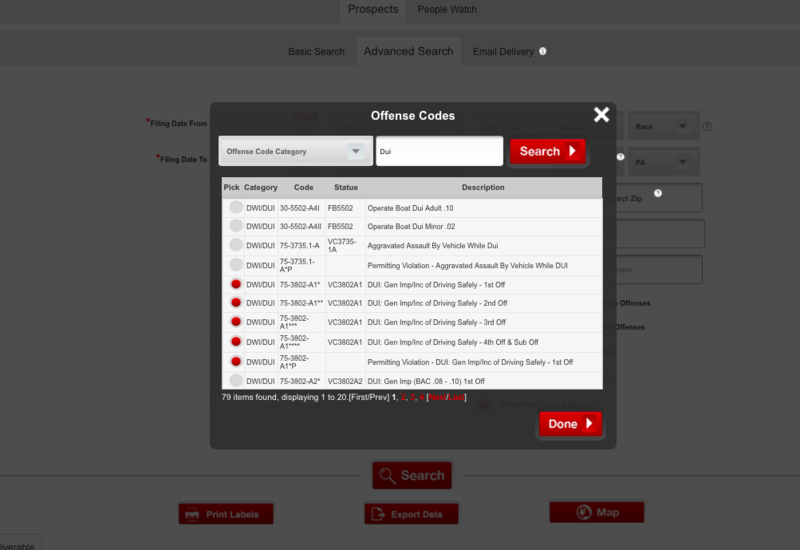 Want to find someone who got cited in one county but who lives in an adjacent county? Not a problem. Want to receive the undeliverable records too? Just check the box and your Excel file will contain a worksheet with complete records including the undeliverability problem for that case. Want to only find DUIs/DWIs for underage white females that live in a particular city or zip code? A few clicks and you got it! No strings attached. No credit cards required. Cancel anytime. Nothing to lose.